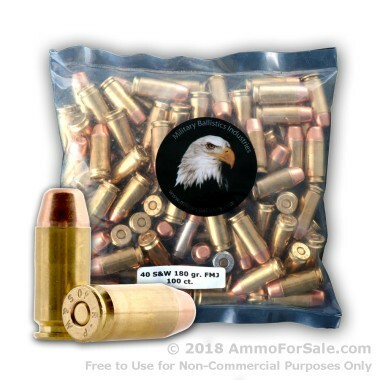 100 Rounds of Discount 165gr FMJ .40 S&W Ammo For Sale by M.B.I. 100 Rounds of 165gr FMJ .40 S&W Ammo by M.B.I. M.B.I. 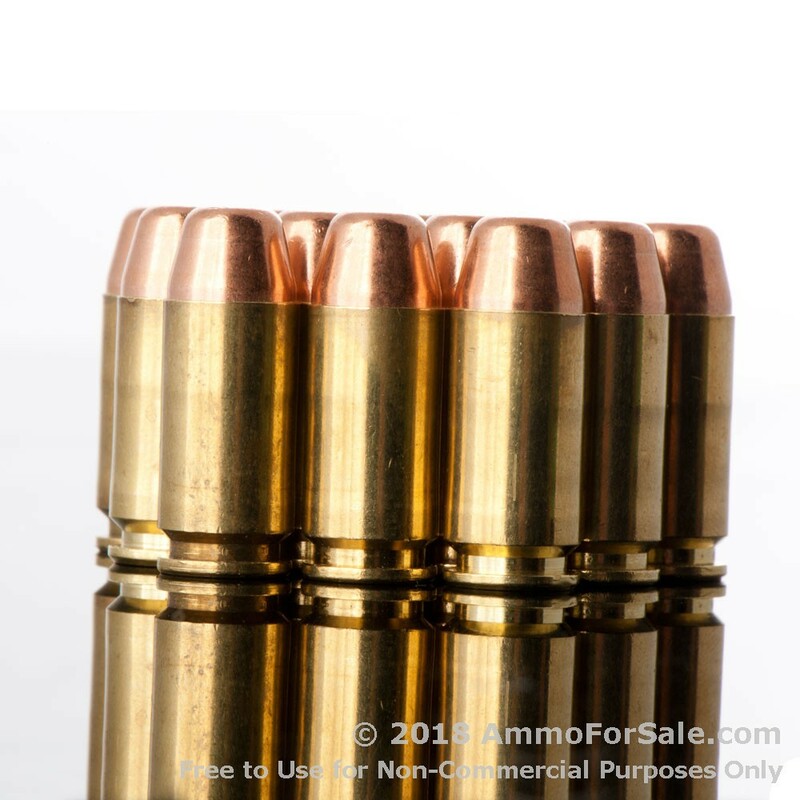 has a fantastic reputation for precision remanufactured ammunition. They supply branches of the military, various law enforcement agencies, and ranges with target rounds, and they have a dedicated following. 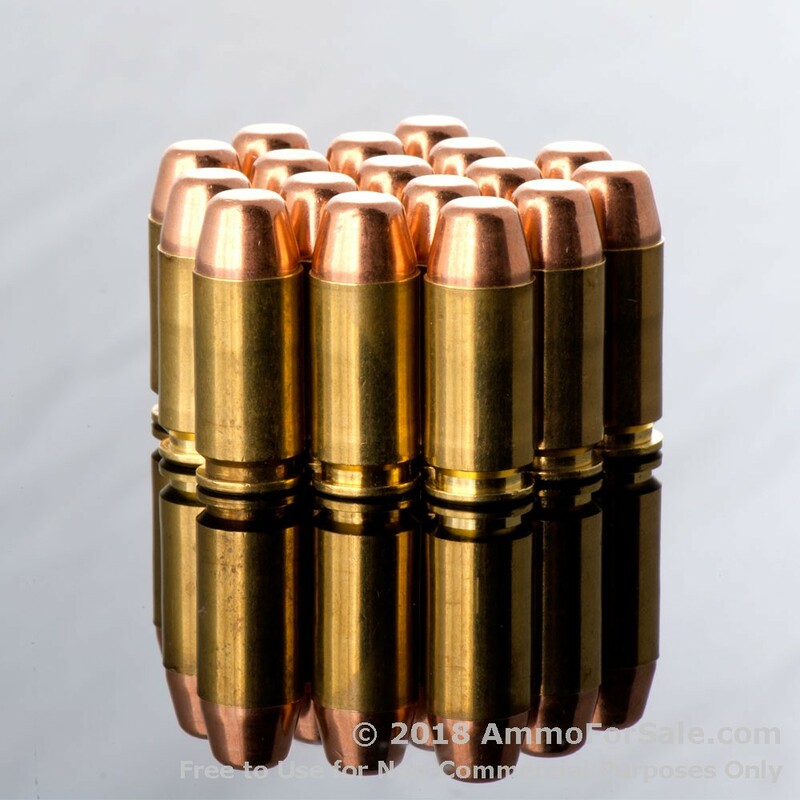 Their rounds are brass-cased and boxer-primed and because they take great care in the selection of the previously fired cases, you can reload them yourself as well. Although their cases are once-fired, they’re meticulously chosen, and every other component is new. 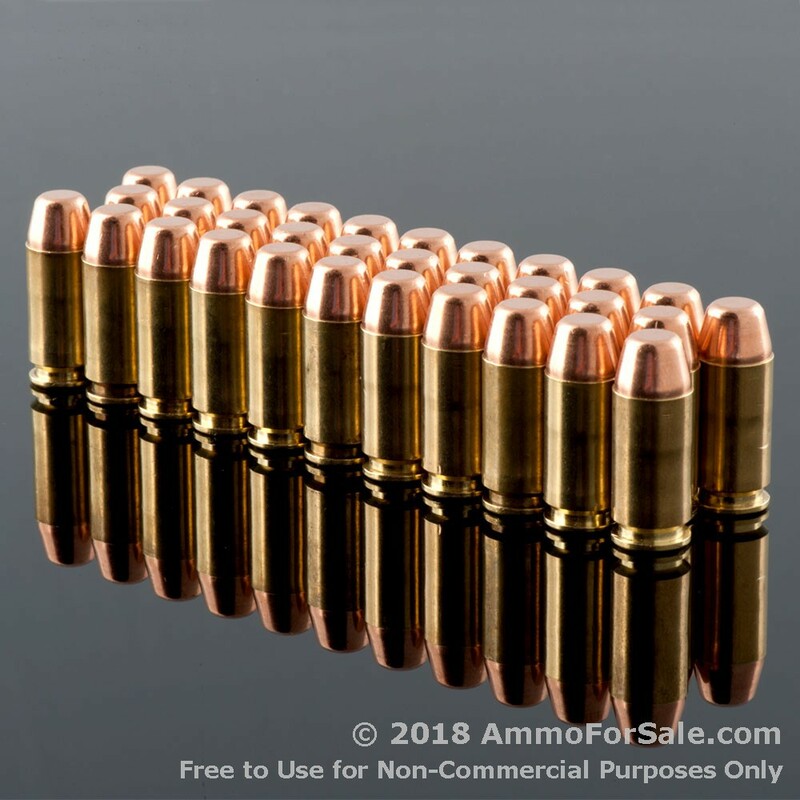 Bullets come from either the military’s Lake City facility or the famous Hornady plant, primers come from CCI or Winchester, and propellants come from Hodgedon. M.B.I. provides you with affordable, high-quality remanufactured rounds so you can fire your guns to your heart’s content. 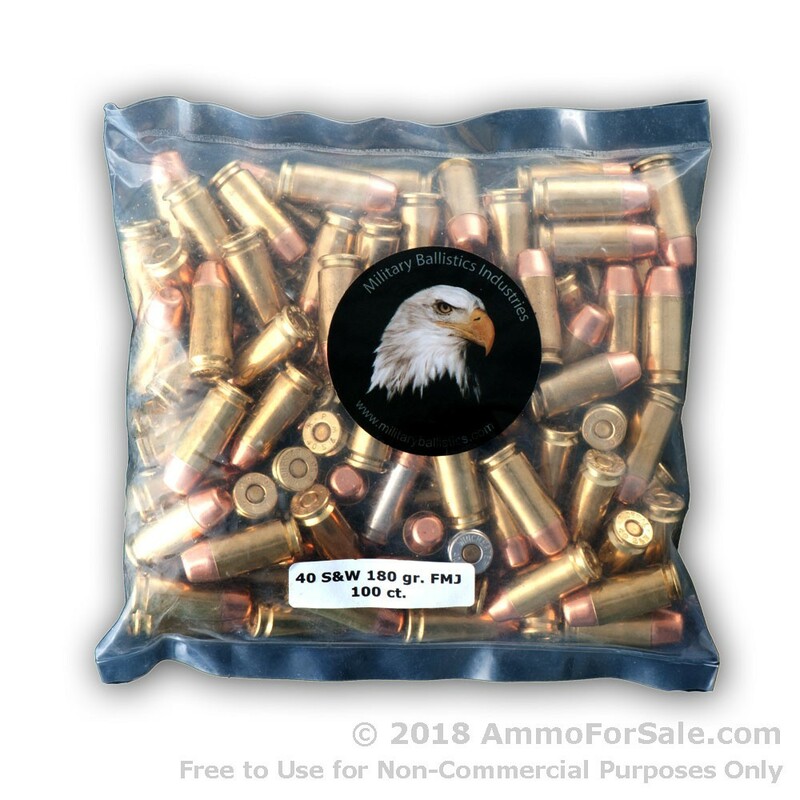 There are 100 remanufactured target rounds in this sealed plastic bag. These FMJ rounds are ideal for target practice, tactical training, and plinking, and at 165 grain they’re medium-weight, which is a good choice for training. This ammunition has the velocity and energy you would expect from a .40 S&W cartridge, and whether you plan to train with paper targets or pop cans, these rounds will punch right through. It’s also designed to be non-corrosive, which is easier on your gun. 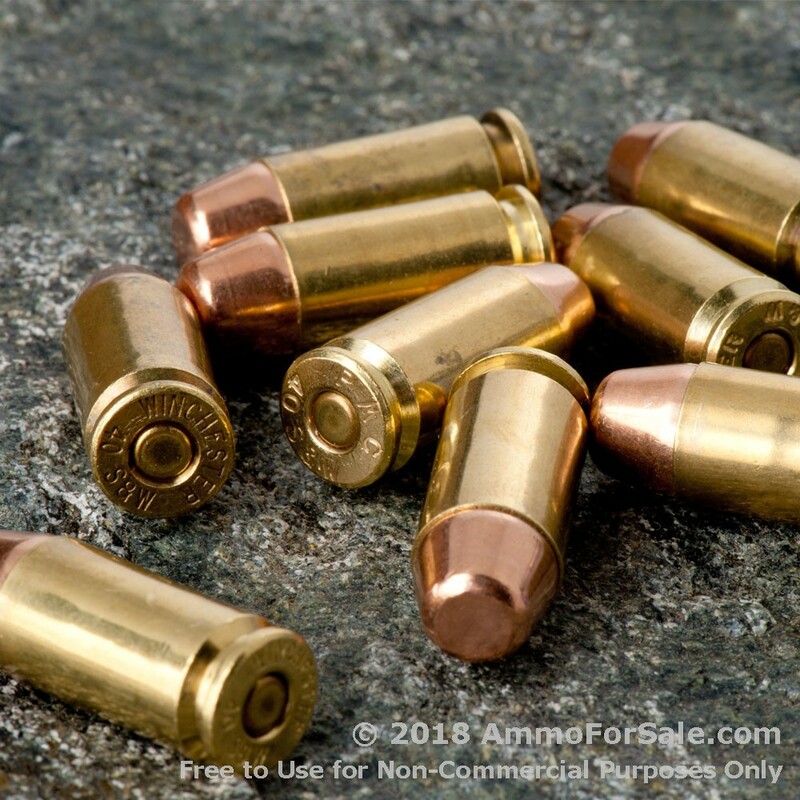 When you’re training with your .40 S&W, you want to respect its long history by loading it with American-made ammunition, and with M.B.I., that’s what you get. If you’ve never ordered remanufactured ammunition before, this is an excellent chance for you to give it a try by purchasing from an established company with a solid reputation. Don’t let anything get in the way of your range time, after all, you never known when your talents will be needed. The sky could fall or zombies could attack tomorrow, so place your order, and be prepared. 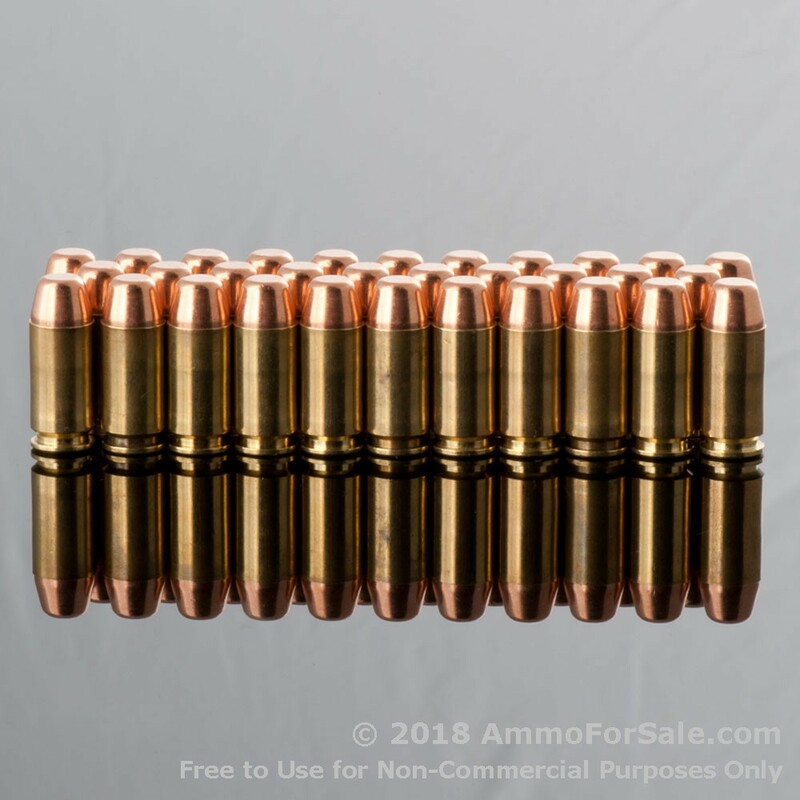 Add a Question about 100 Rounds of 165gr FMJ .40 S&W Ammo by M.B.I.